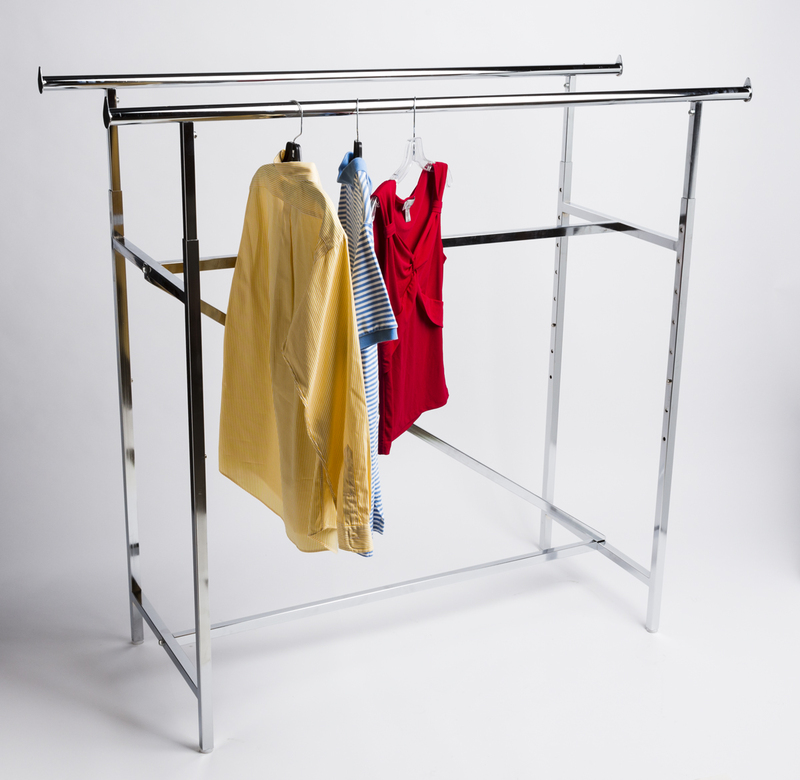 Are you in need of a heavy duty, durable, yet stylish clothing rack? Our H-Rack Double-Rail with Z-Bar Support will provide years of exceptional merchandising due to the high-quality design of the frame. 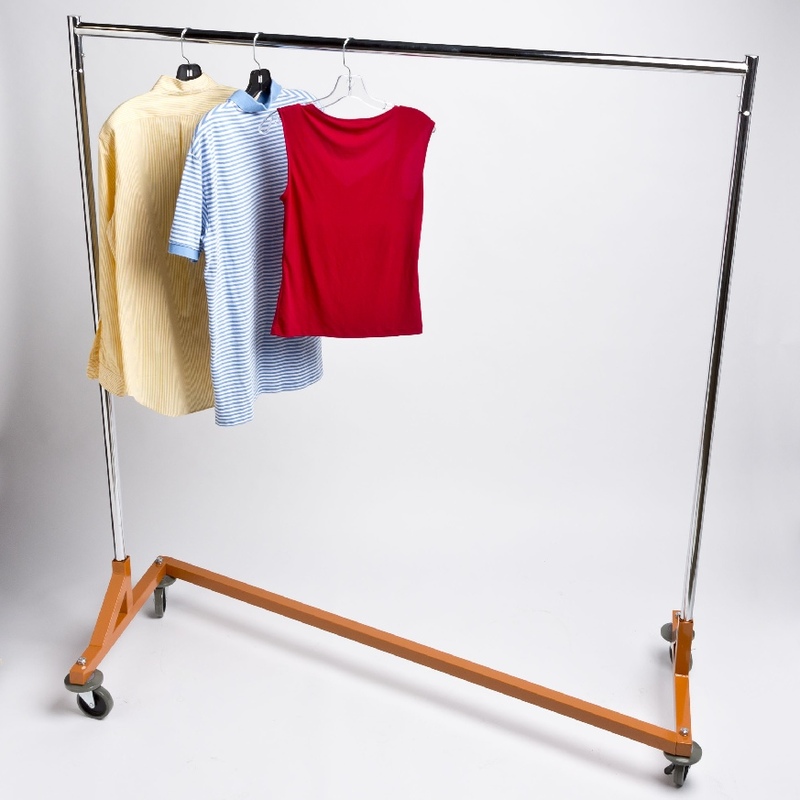 It features 120 inches of hanging space which can increase to 240 inches with our Double Hang Rail Bars. 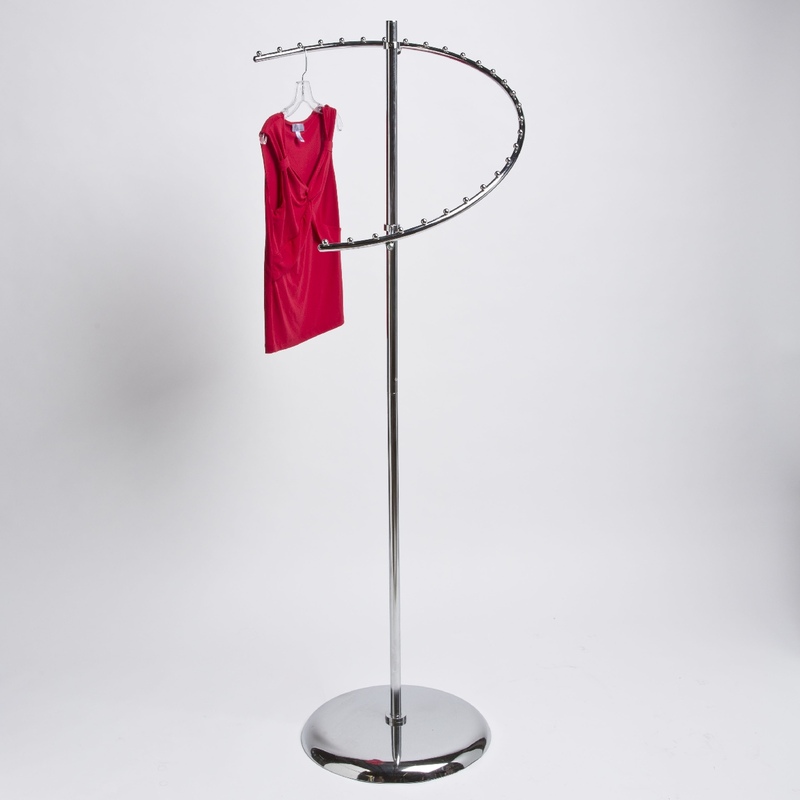 You can also attach a Wire Grid Basket Topper in order to display a multitude of accessories. 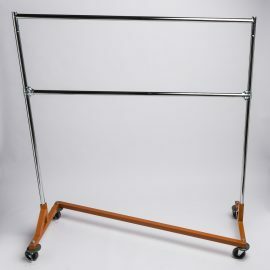 Another available add-on are the Connecting Hang Rails, which connects two racks together in an orderly fashion and adds extra hanging space. You can also purchase a Set of 4 Wheels to make this H-Rack mobile. All these add-ons make our H-Rack the most versatile rack on the market! 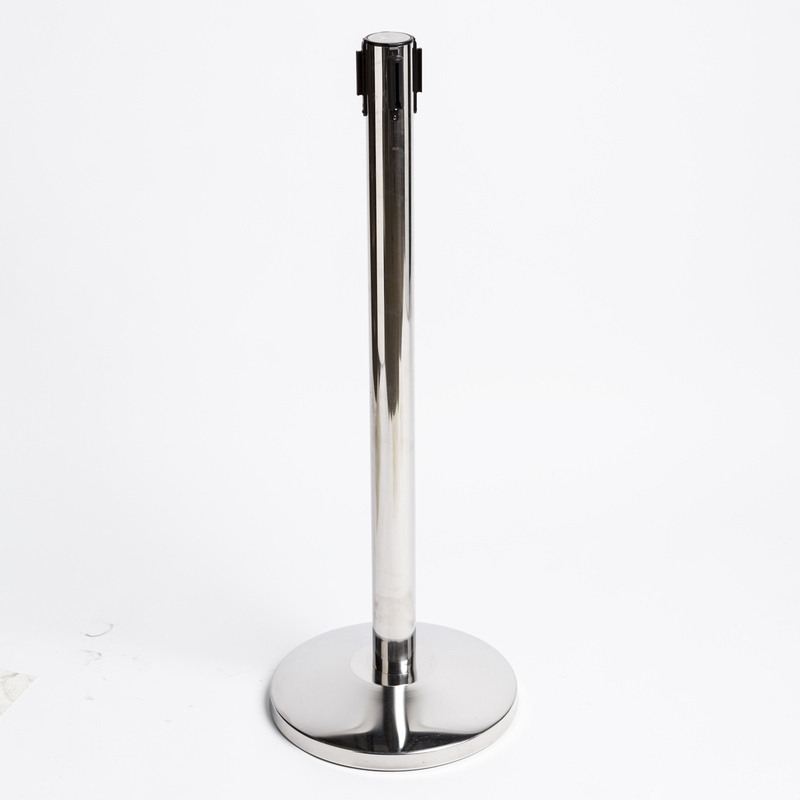 Be the first to review “H-Rack Double-Rail with Z-Bar Support” Click here to cancel reply.